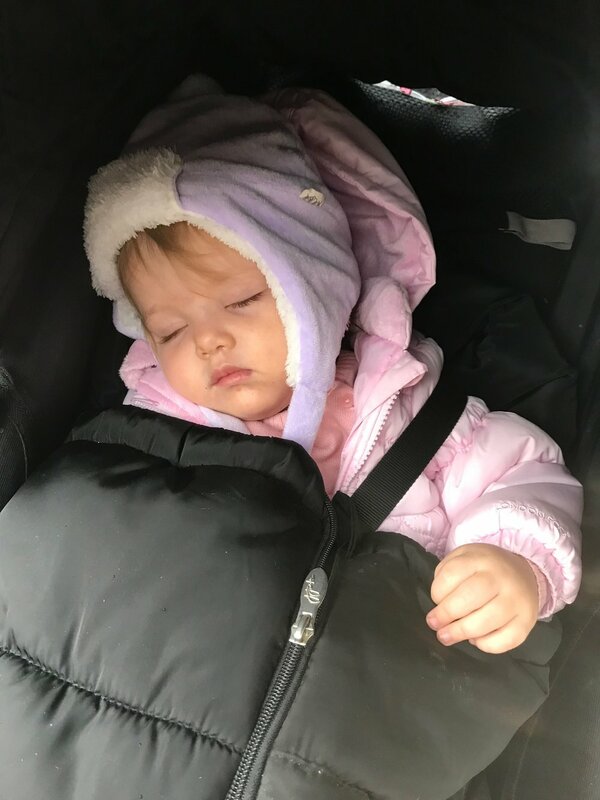 Whether you’re a stay-at-home parent like me or you’re at home with your child on a snow day and weekends, New York winters can be very challenging with a toddler! 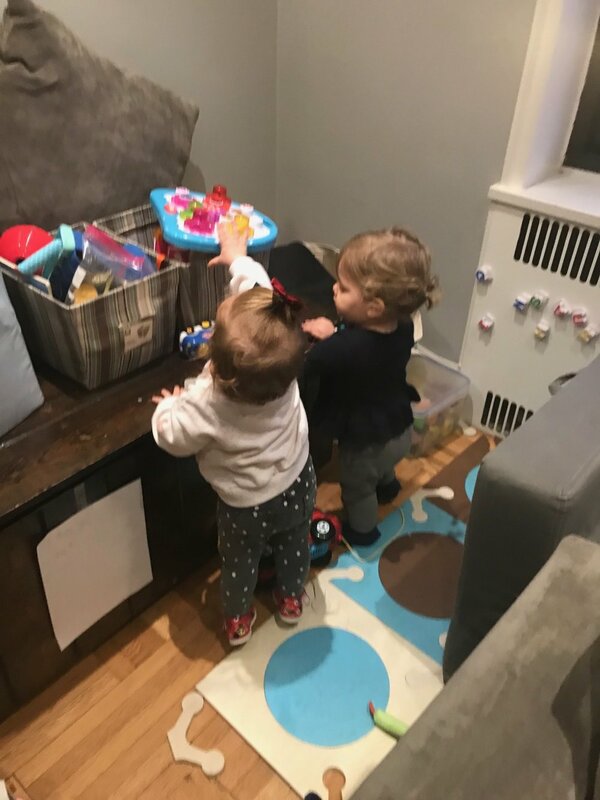 Between below freezing temps and epic blizzards like the bomb cyclone, finding ways to keep your little one stimulated (and let’s be honest - ways to keep yourself sane) are not so easy. I long for the days when I could just stroll over to Prospect Park and bring Adina to the playground with her friends. Sadly, those days are far behind us now and staying at home all day is not an option for this stir crazy mama. #cabinfever. Despite the mini “heat wave” of 40 and 50 degree days we’ve been experiencing this week, let’s not forget we still have 2.5 more months left of the season and I have a feeling we haven’t seen the worst of it! Move from one room to the other. Rather than staying in our play area (which is also our living room) all day, we spend some time in Adina's room playing with her toys and books in there. Then we'll switch over to my room for a while and have "tickle fights" and dance parties on my bed. Later we'll move out to the playroom, and that way we don't get tired or bored of being in the same space all day. Create new toys and games with unexpected household items like cardboard boxes and safe kitchen utensils. Anyone else's kids get sick of their actual toys and just want to play with a roll of paper towels? Don’t rule out screens. On the crazy snow bomb cyclone day when the temp was below zero with the windchill making the real feel -5 degrees, we decided to not to leave the house at all. We let Adina watch some educational nursery rhymes, while I prepared her meals and it gave both of us a much-needed (albeit brief) break. Arrange play dates. I’ve also made an effort to have way more indoor play dates with local friends. Scheduling can sometimes be tricky with unpredictable naps but if we’re going to be stuck at home, we might as well be stuck at home together! I know, I know...this sounds crazy, right? It's true, I try my best to go outdoors for some fresh air every single day. Even if it’s simply a step outside or run an errand at the grocery store, going outside can do wonders for your sanity! Turn an errand into an outing. Our local Whole Foods and Buy Buy Baby have play spaces so I'll pick up what I need and stick around to play with Adina. Yes, I realize this involves the whole process of properly dressing and layering you and your child, but with the right gear, bundling is a breeze and it can actually be really pleasant to be outside. Adina's snowsuit is sold out online but I love this snowsuit and this snowsuit and these boots. A warm hat and gloves are must haves! Our JJ Cole Bundleme stroller insert has also been a lifesaver! This year, I resolved to find more kid-friendly (indoor) activities around Brooklyn this winter. Last winter, Adina was barely able to hold her head up on her own. This time around, she is crawling, climbing, and walking everywhere and we need things to do! Especially considering the subzero temperatures we’ve been graced with since the holidays. There are only so many times you can read stories, play house, build a fort out of blankets, and play ball in your living room! KidPass: Like ClassPass for kid classes! KidPass makes it easy and affordable to try new activities and drop-in on your favorites. It can be used for thousands of activities including art classes, indoor playspaces, singalongs, sports, museums, zoos, and much more. Use this link to get $20 credit when you join! I also came across this list which had some good ideas, though some are more kid-friendly than others.